The World Boxing Super Series Cruiserweight Final will be held in Jeddah in Saudi Arabia in May 2018 following an agreement signed in London between World Boxing Super Series organiser and owner Comosa AG and The General Sports Authority of Saudi Arabia. The date and venue for the Final will be announced in due time. 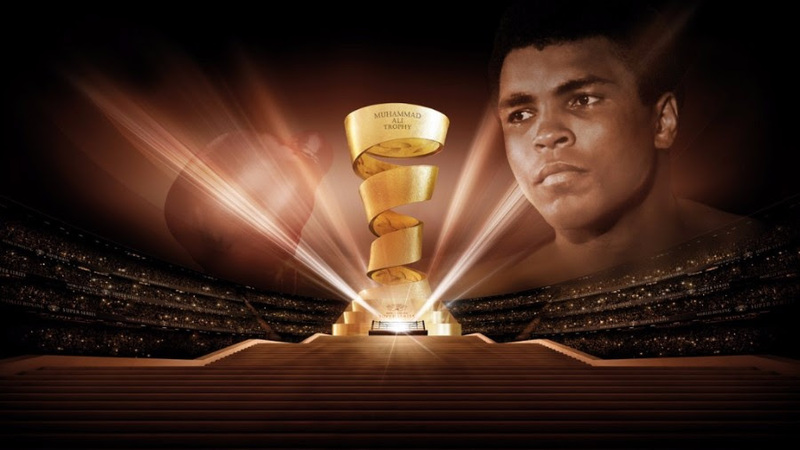 The Muhammad Ali trophy will be awarded to the winner of the contest in the final stage of the inaugural season of the World Boxing Super Series, which has seen growing worldwide attention and broadcast coverage across more the 60 countries since its launch and Gala Draw in Monaco back in July. The first fights of the World Boxing Super Series took place in September and three of the four quarterfinals in the Cruiserweight division has already taken place. 2012 Olympic Gold Medallist and current WBO World Champion Aleksandr Usyk kicked off the cruiserweight tournament by spectacularly stopping Marco Huck, a former record-breaking World Champion himself, in the 10th round in Berlin. WBA World Champion Yunier Dorticos defeated number one ranked Dmitry Kudryashov with a sensational second-round knockout in San Antonio. Finally, hometown hero Mairis Briedis outpointed Cuba’s Mike Perez in Riga to retain his WBC world title belt and set up a semi-final clash with Aleksandr Usyk. Next up is Russia’s IBF World Champion Murat Gassiev against Poland’s former world champion Krzysztof Wlodarczyk in Newark, New Jersey on Saturday, with the winner to face Yunier Dorticos. The venues of both semi-finals, which are expected to take place in the second half of January next year, will be announced in due course.